U.S Fries Fiesta 2017 for Malaysian Potatoes Lovers! 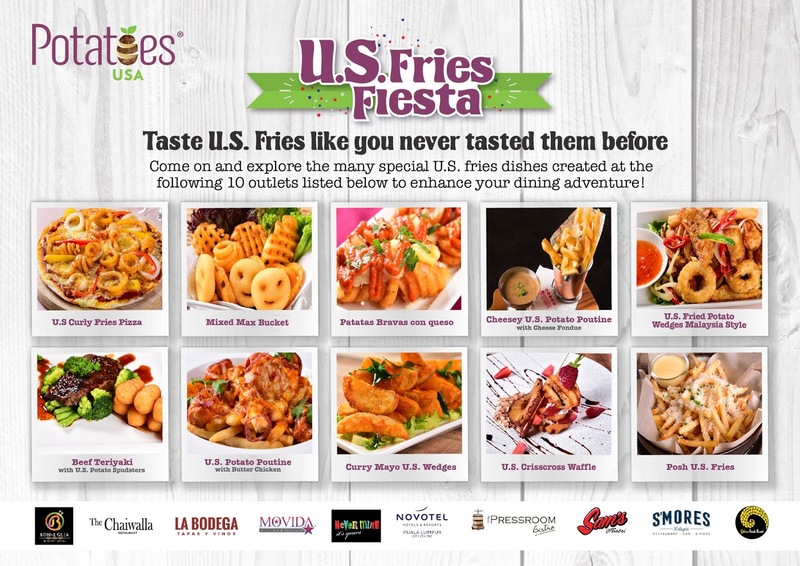 U.S Fries Fiesta Campaign is starting now from 15 June to 30 July 2017. Yeah! I would say I'm one of the potatoes lover which I use to eat potatoes like twice a day. This campaign is going to To promote the varieties and creative usages of U.S frozen potatoes. So basically, there are 10 participating restaurants in Kuala Lumpur to serve up the unique repertoire/creation of U.S. fries dishes. This is pretty a great chance for Malaysian whereby Malaysian fans of U.S fries can try the new dishes featuring new cuts of U.S. fries. So it's time to make your move! Let's support the many restaurants that is using U.S. fries in promoting U.S. fries in their outlets. Why should we choose U.S. fries? 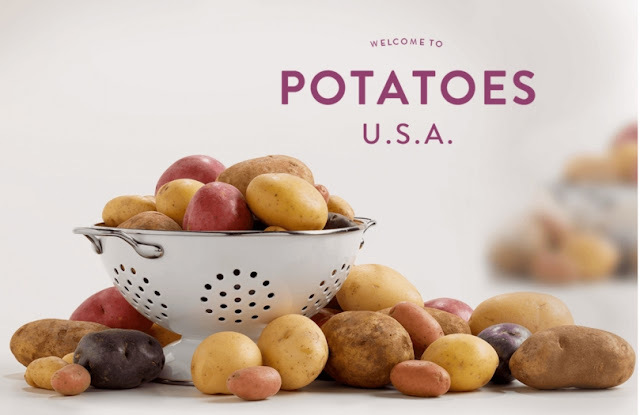 U.S. fries are made from quality potatoes, ideal growing temperatures, rich soil and state-of-the-art processing facilities and generations of expertise. U.S. potatoes contain high solids and low sugar content. They are more desirable in appearance, taste and texture. U.S. potato growers offer processors high-quality potatoes from a plentiful year-round supply. The U.S. industry standards are demanding and must meet all Food and Drug Administration and USDA specifications. Potatoes are an indispensable source of nutrition. One 148 gram potato pack has only 110 calories, but 18% of the RDV (recommended daily value) of potassium and 45% of the RDV of vitamin C. U.S. processors use state-of-the-art technology to meet high industry standards. The finished product is instantly quick-frozen to lock in the flavour and nutrients of fresh potatoes. Not all frozen potato products are created equal. Quality starts with premium U.S. grown potatoes, the result of ideal growing temperatures, rich soil and generations of grower expertise. U.S. potatoes destined for processing must meet stringent standards for high "solids" and low sugar content just right for creating frozen potato products with a desirable appearance, taste and texture. 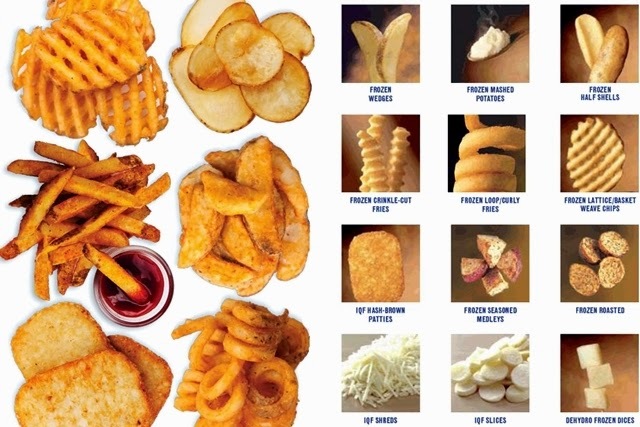 U.S. has the widest range of fries that is sure to excite the fries fan. 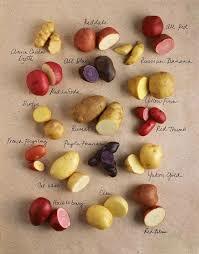 This is how amazing the U.S. potatoes are! Tada~~ I'm hereby to announce the participating outlets to you! If you're in KL, do not feel hesitate to drop by at any of these restaurants and try out their special dish of U.S. fries.